You are right if you eat a great deal of sugar and come to the conclusion that you shouldn’t. My first introduction to the problem with refined sugar was back in the ’70’s when I picked up a paperback book called Sugar Blues by William Dufty. Dufty writes about what eating refined sugar can do to a body and what he did to stop eating it. In the book, published in 1975, Dufty writes about how he met and married famous actress, Gloria Swanson, and how she taught him about diet and nutrition and helped him get completely off refined sugar. He describes dramatic improvements in his health by doing so. This is still one of the best, most straight-forward and informative books about sugar that I know of. I had the pleasure of meeting Bill Dufty and I also saw his wife, Gloria, in New York at an event held at the United Nations. 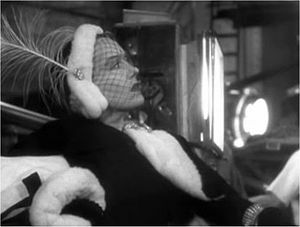 I don’t recall how old Gloria Swanson was at that time–but definitely in her 80’s and she was absolutely gorgeous! Her skin tone was so impressively smooth and youthful for her age. And I saw her up close and realized that she was not simply covered up with a lot of makeup. She was truly an example of someone who successfully preserved their health in old age. In Sugar Blues, Dufty discusses sugar in terms of being an addictive drug responsible for many devastating diseases throughout history. He attacks the sugar industry in his book and points out that American food manufacturers have kept Americans hooked on sugar, particularly by hiding sugar in its many forms in virtually every food product found on the shelves of the supermarket. Of course the sugar industry didn’t like this book and attacked Dufty for writing it. But today all you have to do is google about refined sugar and you will find a multitude of authors and experts echoing exactly what Dufty had to say about sugar including his claim that too much sugar can cause depression and mental illness. No matter whether you want to go in the direction of vegetarianism, vegan, macrobiotic, standard American some-of-everything, or the extreme opposite direction–the Paleo Diet, which is heavy in animal protein–getting sugar out of your diet will take you a very long way in the right direction toward better health. 1. Sugar depletes the body of vital nutrients including minerals and B vitamins. That means when we eat sugar we are not only eating something that is itself nutritionally empty, the sugar is taking some of the nutrients we did manage to consume and destroying them too. This leads to all kinds of imbalances that can affect virtually every system in your body especially your digestion and your hormones. 2. Sugar (and it’s cousin white flour) heavily contribute to what is known as Candida, a condition in which the body has an overwhelming growth of a particularly damaging strain of yeast. The yeast lives in the intestines and attach themselves to the intestinal walls sometimes even breaking through the wall and creating what is commonly called leaky gut syndrome. There is much to know about Candida yeast infections and how easily they come about and you should also know that Candida can be difficult to get rid of and the treatments for it are themselves damaging. But what I want you to know here is that every living thing on earth needs some kind of food and Candida yeast’s menu of choice is sugar and white flour! I recently read that 60-70% of Americans have Candida yeast infections. 3. Because sugar consumption affects so many bodily systems and functions, it heavily contributes to all manner of diseases and disorders: diabetes, indigestion, gas, high blood pressure, arthritis and other inflammatory conditions, heart disease such as arteriosclerosis, cavities, depression and mental illness, nutritional deficiency and weight gain, PMS, and the list goes on and on . . .
4. Eating sugar is addictive and is a poison in the simplest sense of the word. If you eat a little, you become more active (as in hyped-up, on overdrive, buzzing). If you eat a lot, you slow down (this is the typical drowsy, can’t keep your eyes open stupor you may have experienced after a big sugar binge.) And, like all other poisons, if you eat way too much you will become ill or die (see points 1 through 3). First, you need to educate yourself on what is and isn’t sugar. The quick study is to start reading labels in the store and asking questions in the restaurant: “Does this have sugar?” Realize that sugar includes maple syrup, molasses, brown sugar, “natural” sugar, organic sugar, raw sugar, and all those chemical-sounding ingredients that end in “-ose.” And don’t be fooled by the packaging. 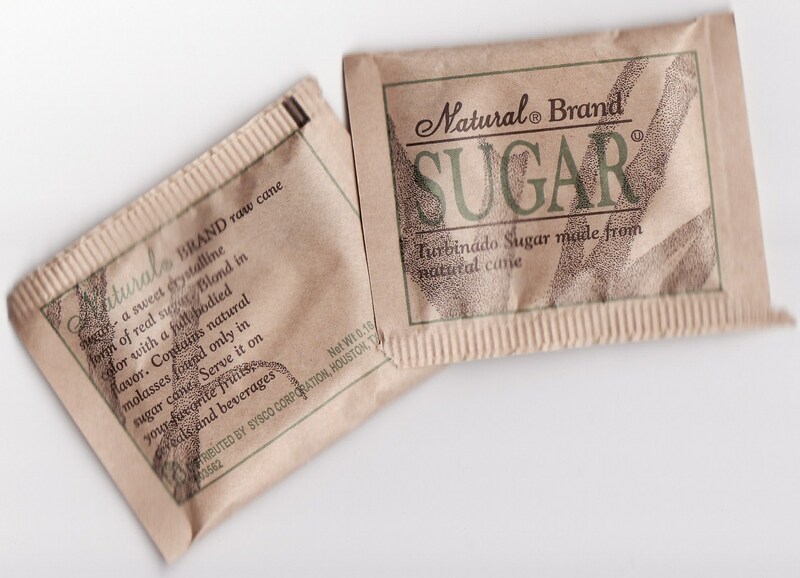 Just because the paper is brown instead of white does not somehow make the sugar better for you. But there is much more to know than that and it is worth investing some time to become knowledgeable. Second, find out what else acts just like sugar in your body. This is where we get into the subject of refined white flour, alcohol and things that literally convert to sugar when you eat them. Check back with me here for some help. This is the first in a series about sugar and I will be writing in much more detail about what I know that is useful! This entry was posted in Food, Health and tagged Candida, diets, Easter, Gloria Swanson, health, Sugar, Sugar Blues, William Dufty by mycookinglifebypatty. Bookmark the permalink. I just stopped eating desert for a long while. Totally lost the craving for sweets. Ate desert, back came the cravings. Like most things, if you break the habit, you can break the cravings. I think you did yourself a big favor, Cindy. I don’t think you can “cut back” on sugar any more than you can cut back on heroin! Aha! Someone else who read “The Sugar Blues” Good on you! Isn’t it amazing how the big news is old news? And to think all those people were making fun of Atkins and lying about how he died. Most importantly there is absolutly nothing healthy about “Brown sugar: its white sugar with Molassess in it. Most people think its healthy. You are so right! I don’t know why the color “brown” is supposed to mean something is better: brown eggs, brown sugar packet. Of course brown rice is better than white for a legitimate reason. Interesting! I’m curious to know if it smelled good in the vicinity of the factory. I was once near an orange juice packaging plant and was appalled at the odor coming from there. It did NOT make me want to drink OJ. OMG! The reek from the factory would knock you to your knees! The smell of boiling sugar beets is horrendous. The fields can only sustain one harvest (it is horrible for the soil) and then it must be used for 4-5 years for something that is nitrogen rich since the soil is so depleted. Plus when they are harvested the trucks end up tracking so much of the topsoil down the road. It is a crop that requires stoop labor – entire families of migrant workers spend the day in the field and I have news for you – there are no bathrooms there. OTOH, there was a cider factor in Fruitland which smelled pretty good when it was in full production. Such an important issue and I’m so glad people are talking about it, especially now right before yet another celebratory sugar fest. We’ve been running a series on cutting sugar, but I’ve never read Duffy’s book. I’ll have to check it out. Thanks! Hey Little Sis (love the name) thanks a lot and I’m going to “take a walk” over to your blog and check it out! Sugar Blues is not only good data about sugar, but he lays out a very interesting and telling history that really made sense to me. Glad you stopped by!